Don't let the warm-weather seasons slip away. 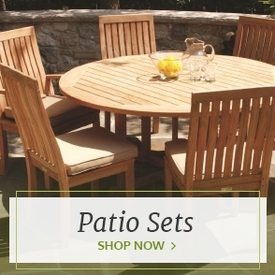 Enjoy the outdoors with a high-quality patio dining set made for use under the sun and stars. A new outdoor dining set allows you to enjoy alfresco dining, drinking and socializing comfortably. 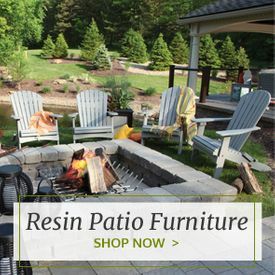 Outdoor Furniture Plus carries the best patio dining sets, including moisture- and UV-resistant teak dining sets, charming and low-maintenance wicker dining sets, rustic and elegant cedar dining sets and eco-friendly and split-resistant polyresin dining sets. 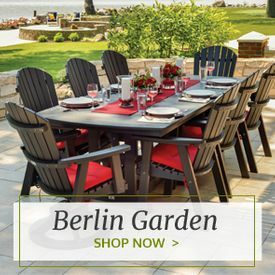 All of our elegant and long-lasting outdoor dining sets ship free. 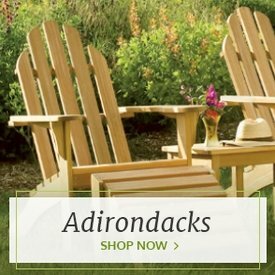 You'll be able to entertain comfortably with eight-piece patio sets or keep it cozy with stylish two-person outdoor bistro sets from our selection. No matter which size or material you choose, you're sure to find a fantastic solution for your outdoor configuration. Opt for rectangular outdoor dining tables with bench seating or keep things classy with a round high-top outdoor dining table that gives your patio or porch a bistro feel. 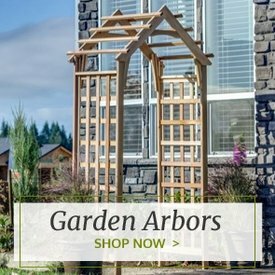 Choose from all-natural and unfinished, over-sized and cushioned or sleek and contemporary.